An apple a day keeps the doctor away, but just in case you didn’t know, a non-invasive injection of vitamin C into your skincare can also keep the naughty free radicals that harm your skin at bay too. I’m talking city pollution, environmental damage and the big one, skin-damaging remnants of passive smoking. We’ve all heard that these troublesome irritants are known to cause premature ageing, unwanted breakouts and lack-lustre complexions. But are we doing enough to prevent these unhealthy toxins having a negative effect on our skin? Vitamin C is completely necessary to keep skin cells happy, healthy and radiant. It’s famed for its defensive properties, especially against harmful free radicals, DNA damage – and for the spring chickens – pre-mature aging. Adding this powerhouse ingredient into your routine can really help to shield your complexion for any nasty aggressors that could be harming your complexion. 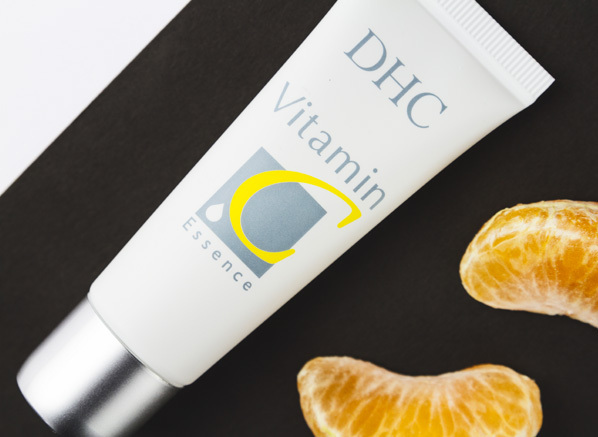 Perfect for all skin types, the DHC Vitamin C Essence is a simple and effective way to reap the benefits of Vitamin C in your routine. Researchers have proven that the even the lowest levels of vitamin C (0.6%) are proving to be efficacious, this super-hero essence contains over 8% of the magic stuff! If you’re looking to re-balance your complexion and give your collagen production a big boost, vitamin C is where it’s at. Renowned for its anti-aging properties, Vitamin C ensures the bonds of the connective tissue in your complexion remain strong, therefore making your complexion more bouncy, less saggy and even more beautiful. 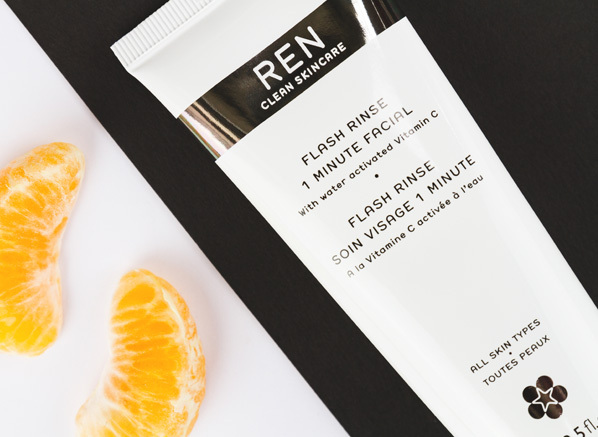 A must have to keep in the beauty cupboard for when your skin needs a rejuvenation session, the REN Flash Rinse 1 Minute Facial instantly removes any remnants of high fatigue and dull undertones in your complexion with its water reactive vitamin c properties. In only 60 seconds, your skin feels revitalized, radiant and re-invigorated – need! A key player in the regeneration game, one of Vitamin C’s major magic powers includes its ability to reduce inflammation and irritation by stimulation your complexion’s fibroblasts. Minus the science class, when you apply vitamin C to your complexion, fibroblasts divide to encourage their migration around the injured area, resulting in quicker repair. This is perfect for any uncomfortable lesions that may appear on the skin such as inflammatory acne, cuts, milia or even sun damage. 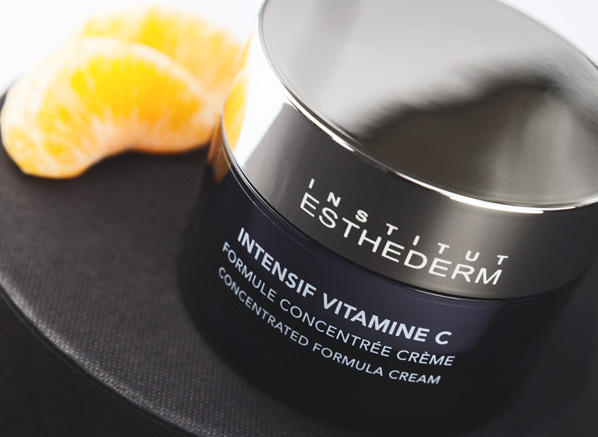 A must-have for your daily dose of radiance, the efficient Institut Esthederm Intensive Vitamine C Cream contains two stable derivatives of vitamin C that get straight to work protecting, hydrating and brightening your complexion! As if vitamin C doesn’t have enough super powers! It turns out this powerhouse can also banish acne-causing bacteria, too! So if you’re complexion is partial to the odd breakout, adding a touch of this clarifying agent to your routine could work miracles for you and your confidence. 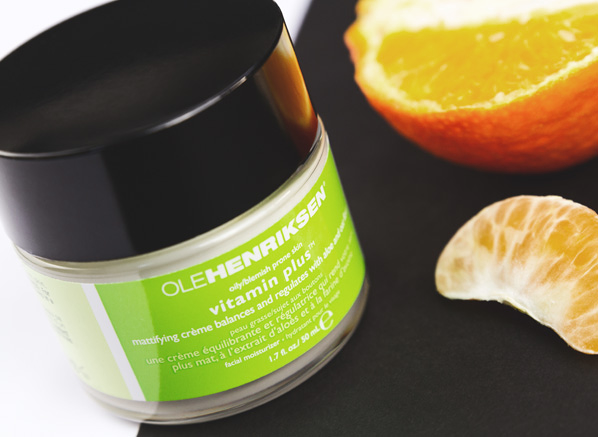 If you suffer with unwanted blemishes, the Ole Henriksen Vitamin Plus Day Cream is a great way to start waving goodbye to temperamental skin issues! Formulated to regulate oil and mattify shine, this lightweight moisturiser is packed full of powerful anti oxidants to balance and clear your complexion with a healthy mix of vitamins, A,C,D & E! What are your thoughts? Are you a vitamin C convert? If so, let’s have a chat over on Twitter. I’d love to hear all about your thoughts and experiences with this super skincare ingredient! This entry was posted on Thursday, February 4th, 2016 at 10:09 am and is filed under Customer Queries, Essentials, French Pharmacy, Hints & Tips, Skincare, Spotlight On. You can follow any responses to this entry through the RSS 2.0 feed. You can skip to the end and leave a response. Pinging is currently not allowed.